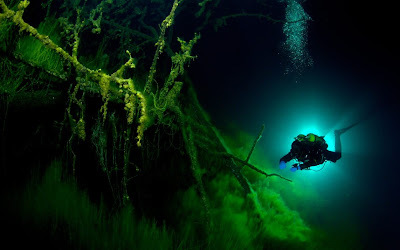 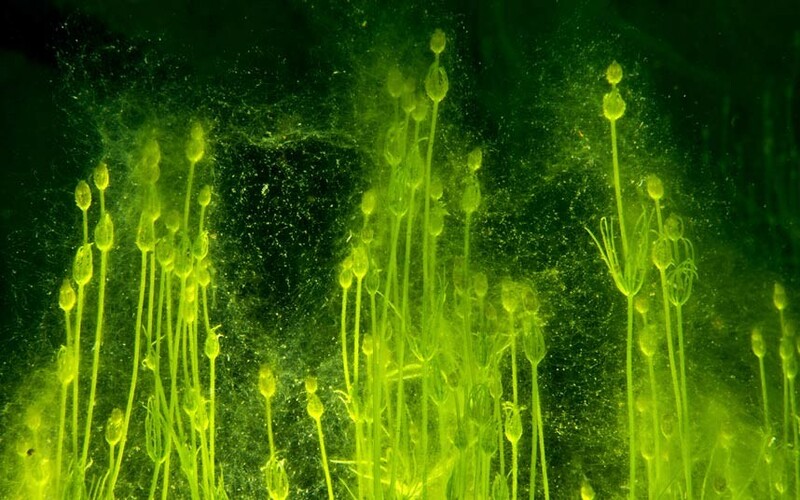 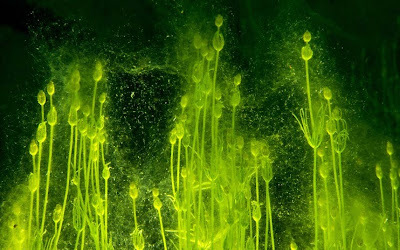 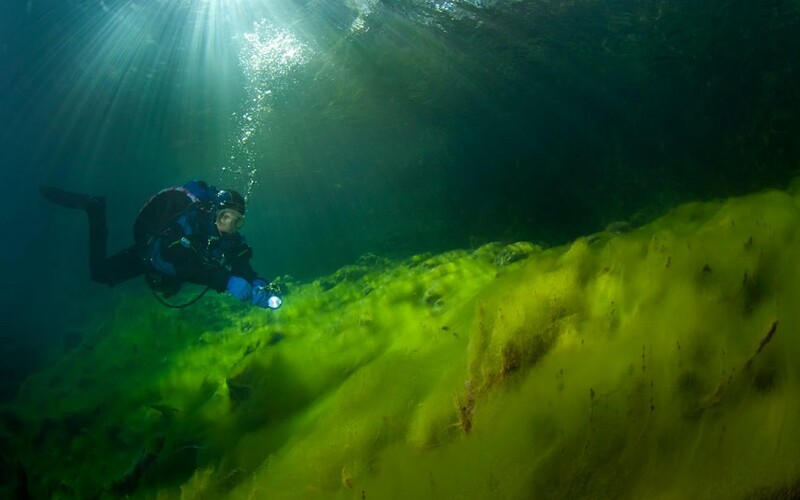 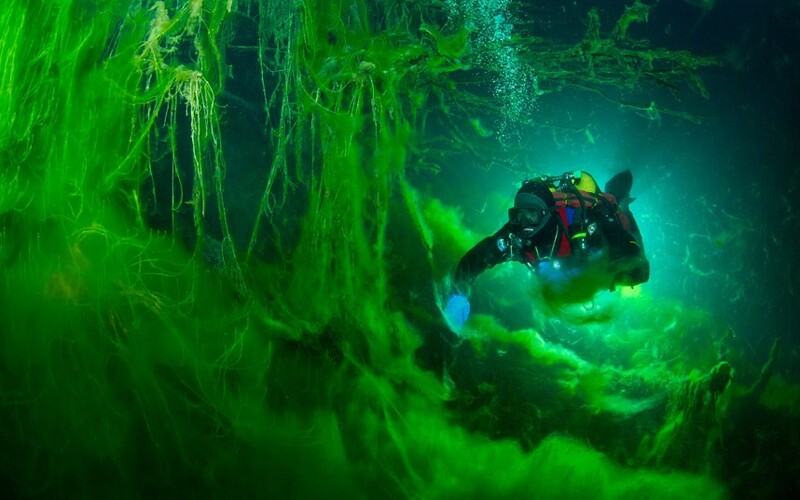 National Geographic photographer Victor Lyagushkin accompanied a team of divers to explore the underwater cave network of the Blue Lake, near the Caucasus Mountains in Russia. At 770 feet long, 400 meters wide and 800-feet-deep, the Blue Lake is currently considered to be the deepest type of lake in the world, called a Karsk lake. Karsk lakes are usually formed from limestone rock which is eroded by water from below. 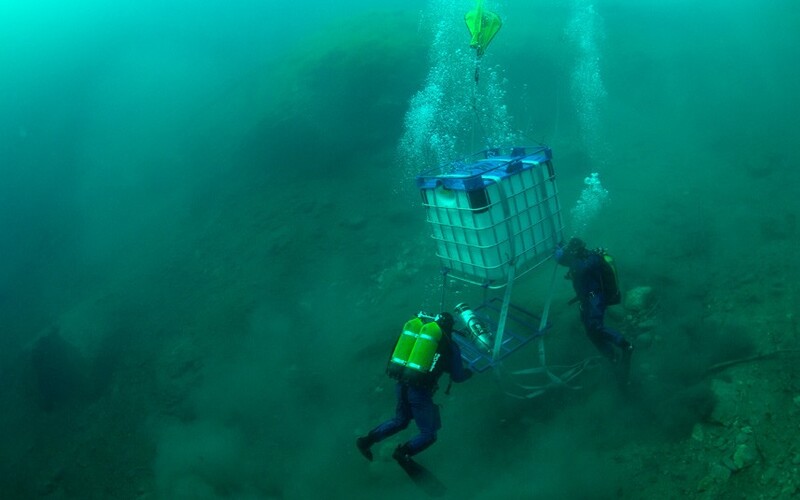 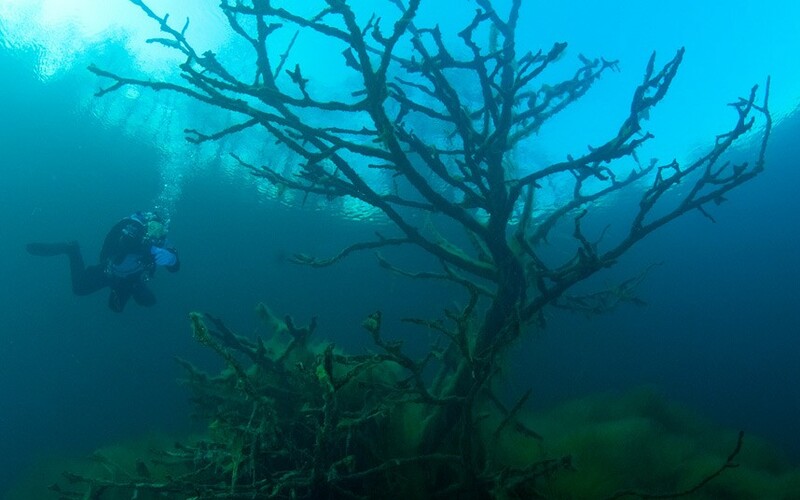 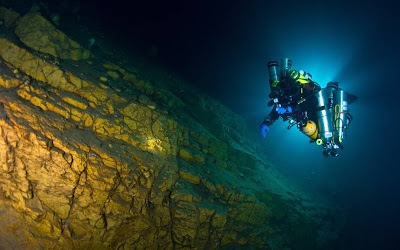 Russian divers attempted to locate the cave system and source of the spring leading into one of the deepest underwater cave systems in the world, said Victor. 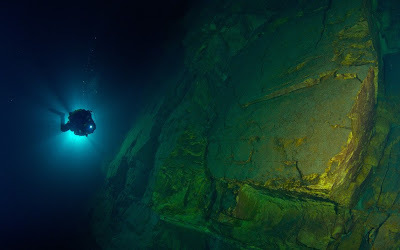 Such complicated and deep dives need a big team of well-educated and experienced divers who work together as a one man team. 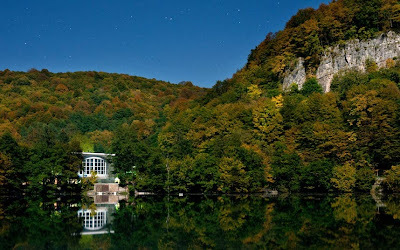 The aim of the project was to make scientists pay attention to this lake and to make them start researching it. 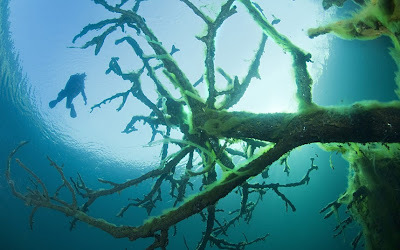 We wanted people to understand that this is not a puddle, but an unknown and wonderful world under the water.